Karen Ward was inspired to work with wigs because her mother suffered from alopecia. 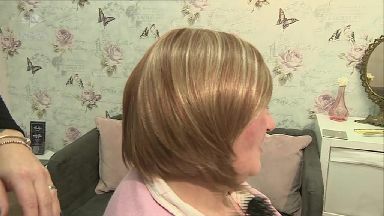 A hairdresser whose mother suffered from alopecia is helping people cope with hair loss through a new wig service in Tayside. Karen Ward made an appeal for wigs and hair pieces which are no longer being used. She now has hundreds of styles which she has cleaned and prepared for re-use at her salon in Dundee. 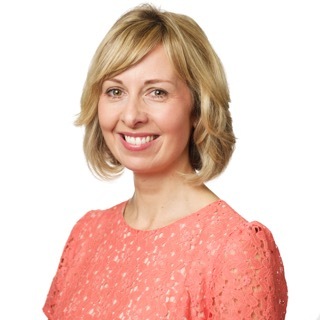 "Clients who had come to me for a wig on prescription, what happened to them in some cases is that they sadly passed away and their families came back with the wig and said 'it's not been worn, can you take it back? '," she said. Karen recently received a real hair wig which belonged to local teenager Fiona Clark. The 15-year-old died from cancer and her mother handed her wig in to Karen's hair bank. "It was very brave of her to come in and donate it, with it being a recent loss for her," said Karen. "I know already that someone is going to get the use of it and they will be overjoyed with it, and brand new I know my client would not be able to afford it." The wigs are fitted and styled by Karen in a special room in her salon. They cost a fraction of the price of new hair pieces, with prices ranging from £30 up to £100. Lorna Weir of Tayside and Fife Alopecia Support Group is a regular customer. She's had alopecia for more than 50 years and says the salon experience is transformational. "It's just wonderful, it's like I'm having the experience that a person with hair would have if they came in for a cut or blow dry," Lorna said. "I am in effect having my hair done. I can have a new style if I want it, a new colour, there's so much choice. "From eight years old through to my 50s I have never had a real salon experience, but this is so good. "Karen, and salons like hers, are making a huge difference." Karen added: "My mum had alopecia and wore a wig from her early 20s, so I've been around hair loss all my life. "It's great to give something back and see the impact it has." All profits from the sale of the wigs is given to local charities, including Maggie's Dundee, Ninewells Hospital and Tayside and Fife Alopecia Support Group.